How much time do you spend in your kitchen? Specifically, at your kitchen sink? I feel like I could make imprints in the floor with the amount of time I spend there. My family likes to eat and we love to cook, which creates a lot of dishes. I did something with my kitchen sink last week that has made dish duty so much more pleasant. 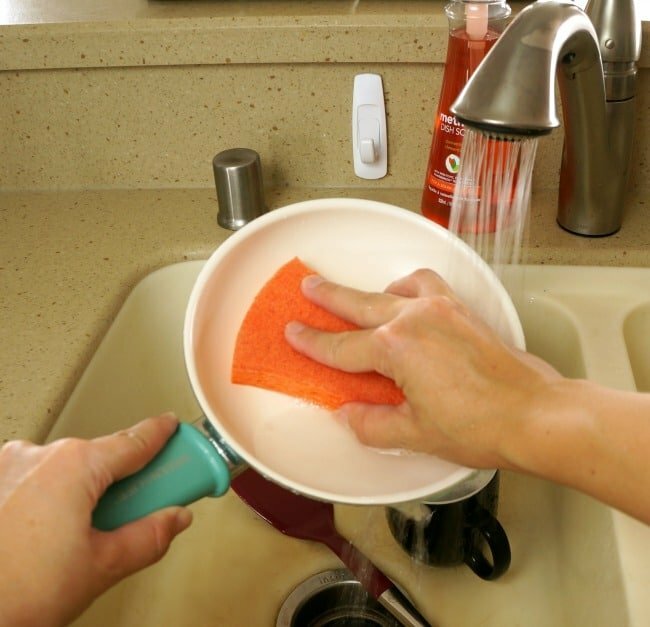 This simple kitchen sponge hack is crazy easy and I guarantee you are going to want to grab a pack of these colorful new sponges and do this in your kitchen sink today. 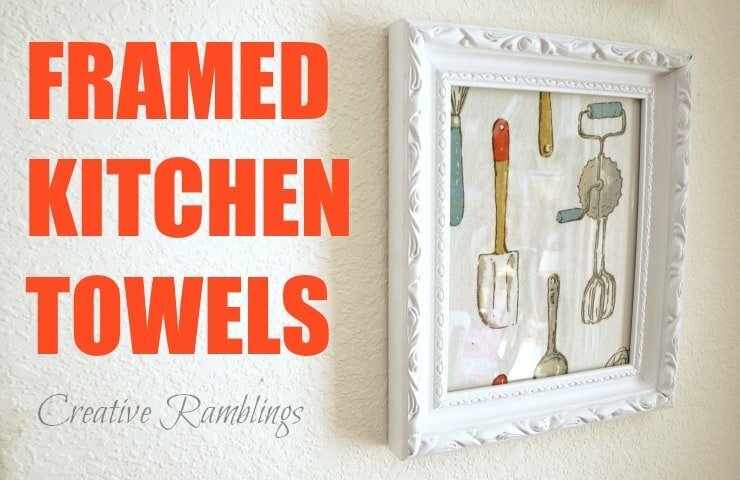 Subscribe to Creative Ramblings for 50+ printables, graphics cut files and more. Don’t miss another post. One of my least favorite parts of doing the dishes is finding a wet stinky sponge at the bottom of the sink under a pile of dirty dishes. Typically because it fell in and everyone piled their dishes on top of it. There are much better ways to start a load of dishes. I used one simple supply to keep my sponge out of the sink and fresh for when I need it. 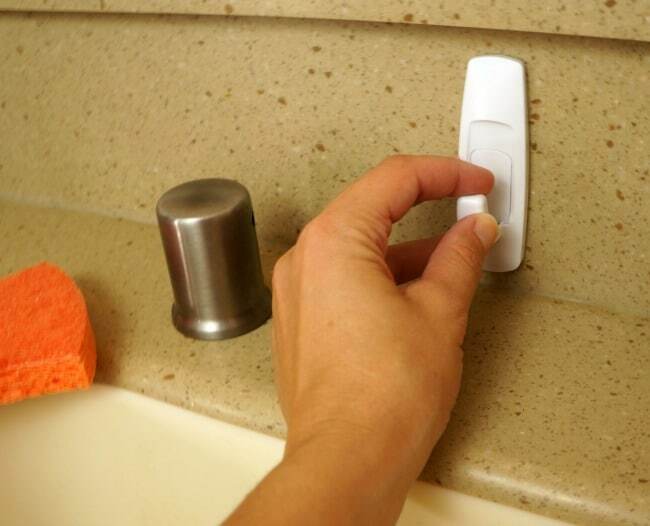 I used a large Command Hook, big enough to hold an ocelo™ No-Scratch Scrub Sponge, and attached it to the counter just above my sink. Right next to the soap where I need it. 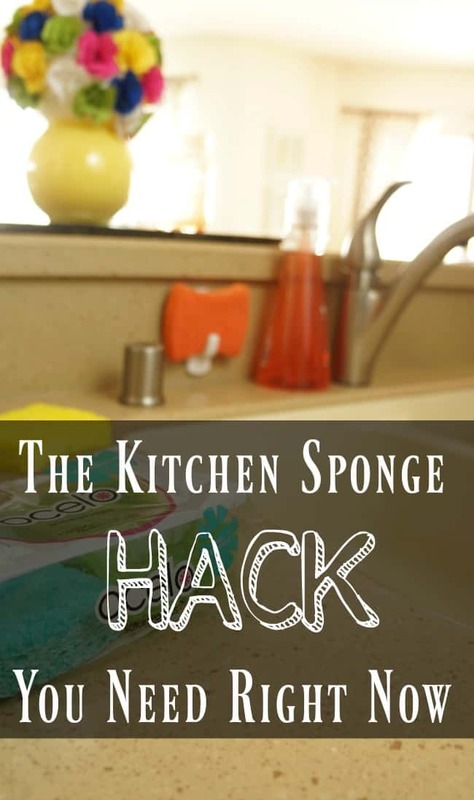 This simple kitchen sponge hack keeps my sponge out of the sink and nice and fresh to wash my dishes. Seriously, so simple yet it makes a huge difference. Doing dishes is not one of my favorite tasks, but it needs to get done. I put what I can in the dishwasher then work to empty my sink so I can get on with my day. If I’m stuck behind the sink I want to add a little fun to my chore. 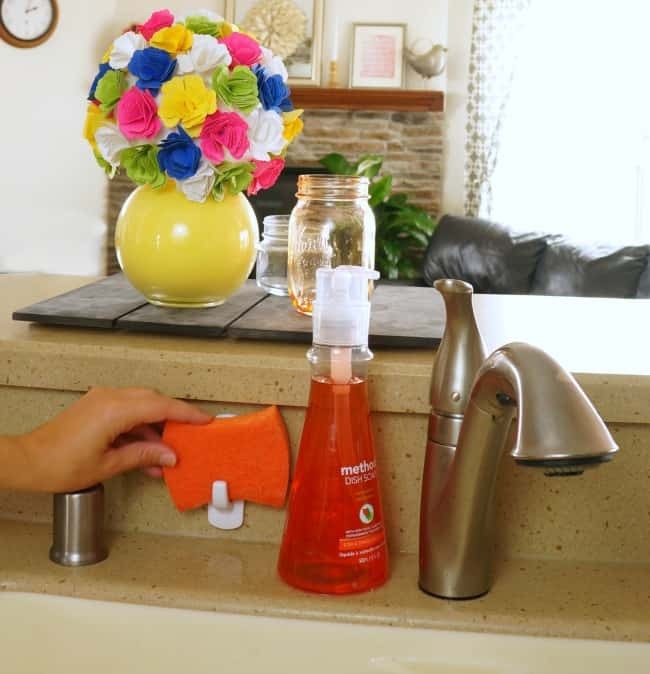 I keep bright accessories on my counter, yummy smelling soap, and bright effective ocelo no-scratch scrub sponges on hand. 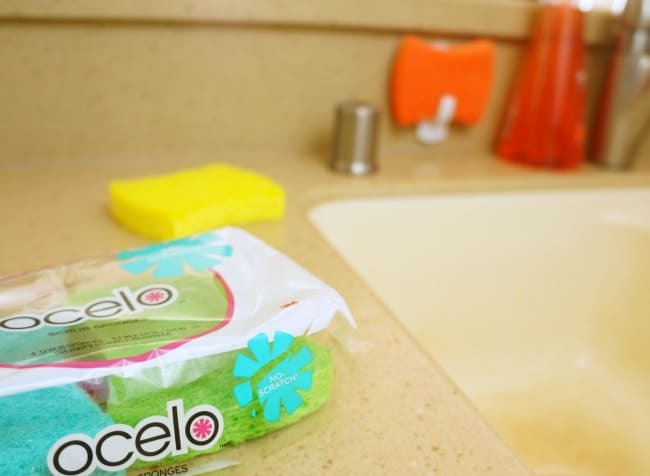 ocelo no-scratch scrub sponges are my go to especially for those dishes that cannot go in the dishwasher. These new colorful sponges are safe and effective on non stick cookware, tile, glassware, and stainless steel. 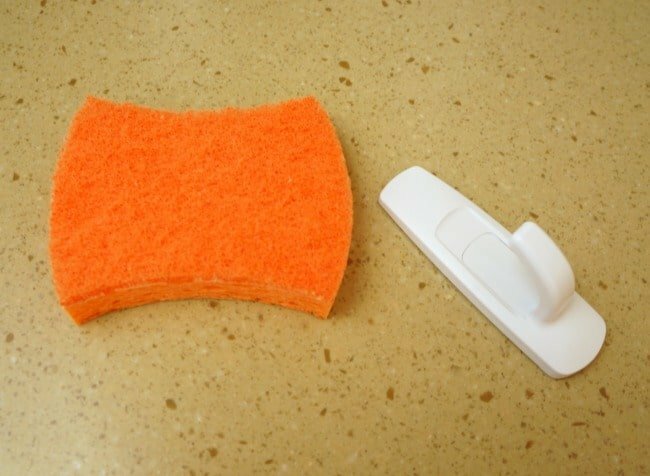 This simple kitchen sponge hack has made dish duty bearable. Are dishes your responsibility? 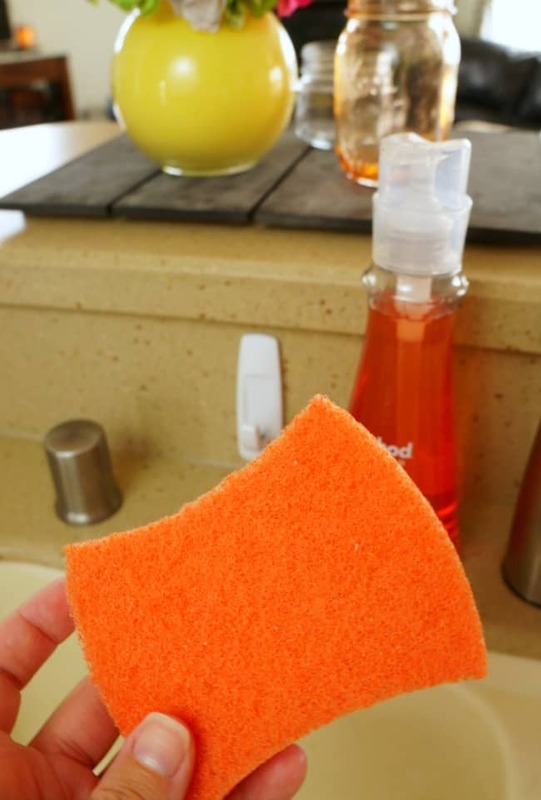 Tell me, who in your house would appreciate this sponge hack the most? It’s my understanding that sponges are loaded with germs no matter how hard you try to keep them clean. I never use them myself. 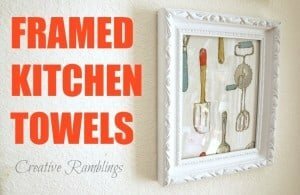 I stick with the old-fashioned dish cloths and I use a fresh one everyday. This is a smart great idea. I also can’t touch a sponge that’s been left in the sink. I throw many away that my family lets in water. Great idea! I’ve run mine through the dishwasher too. Sweet hack! It looks like it will do the job. My man bought a sponge holder that has suction cups to stick to the sink/backsplash. Yeah I just bought one of those myself. It works fine, but if you have two small sinks instead of one big one, the sponge hanger takes up a lot of space in the sink. I like this idea. I am going to try it!